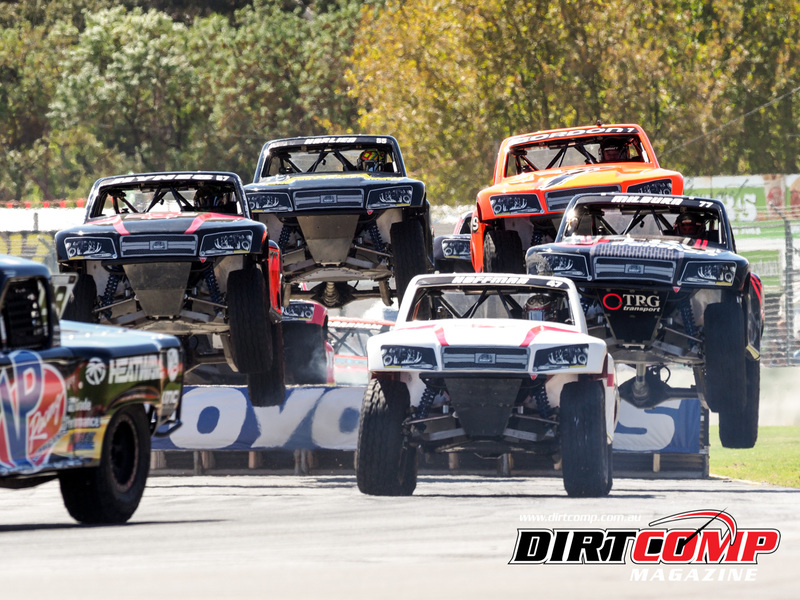 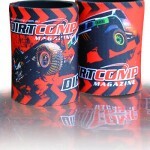 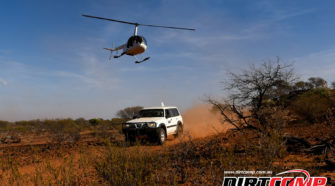 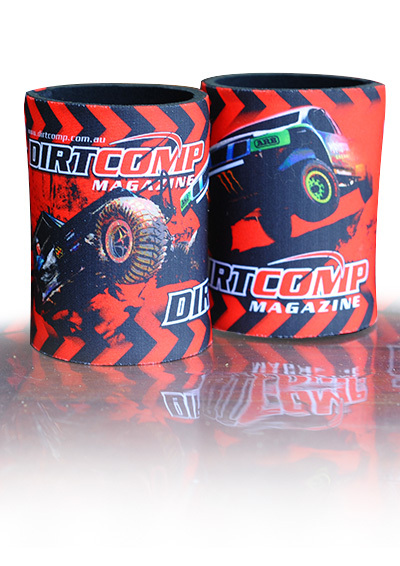 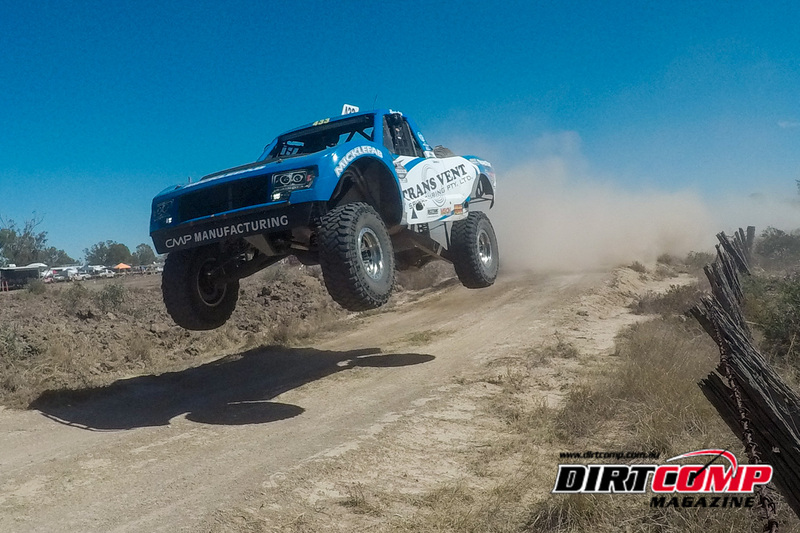 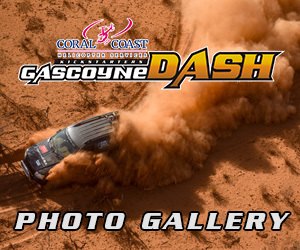 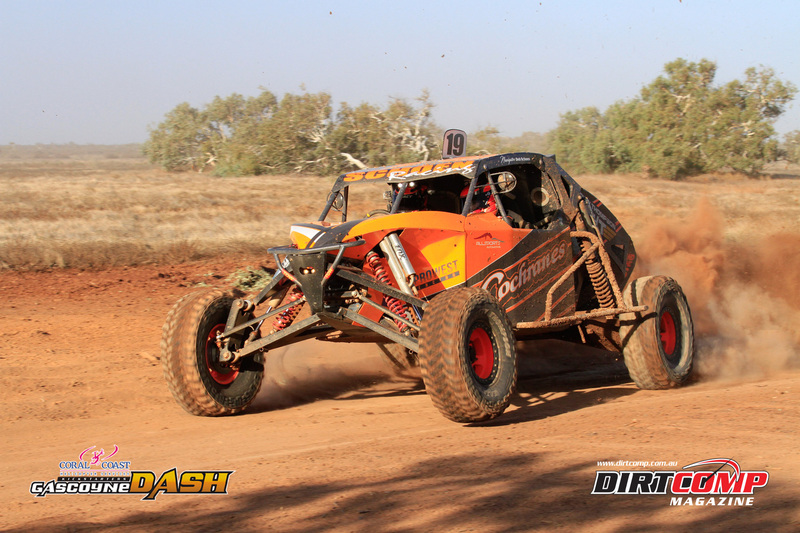 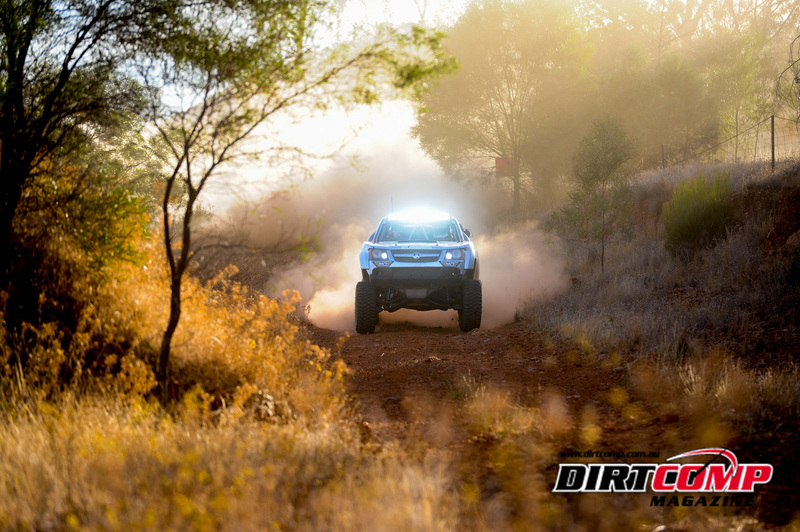 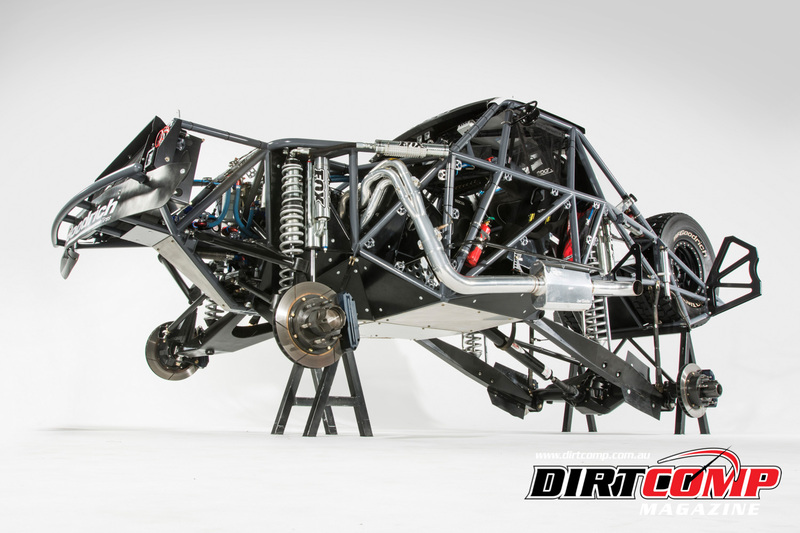 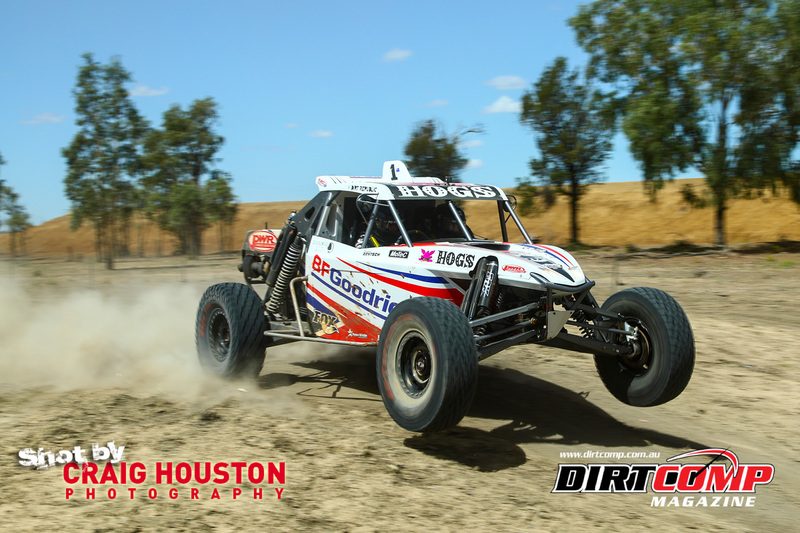 Offroad racing has often been described as one of motorsports best kept secrets. 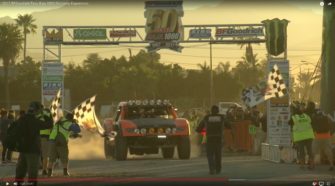 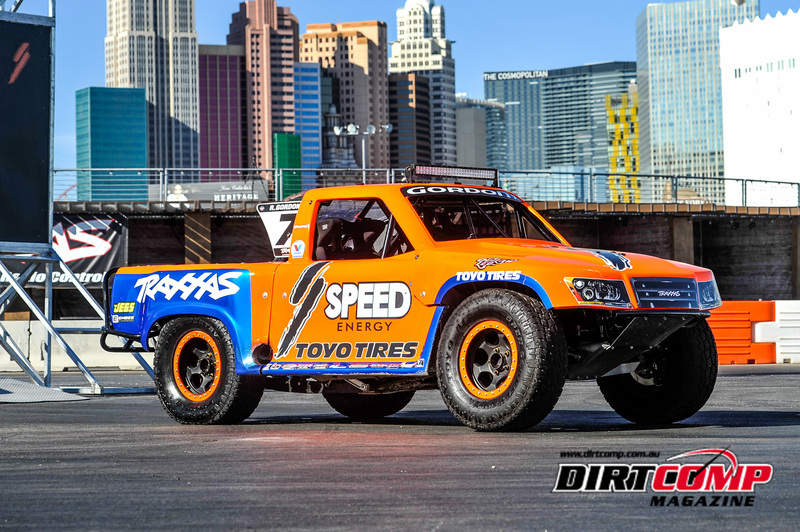 But with the launch of Robby Gordon’s Stadium Super Trucks which compete in the SPEED Energy Formula Off-Road Series presented by Traxxas the cat may finally be out of the bag. 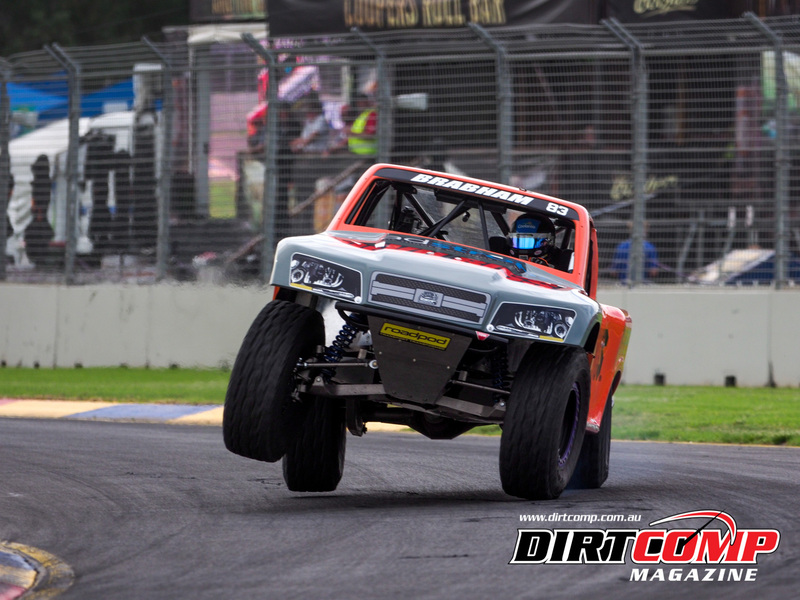 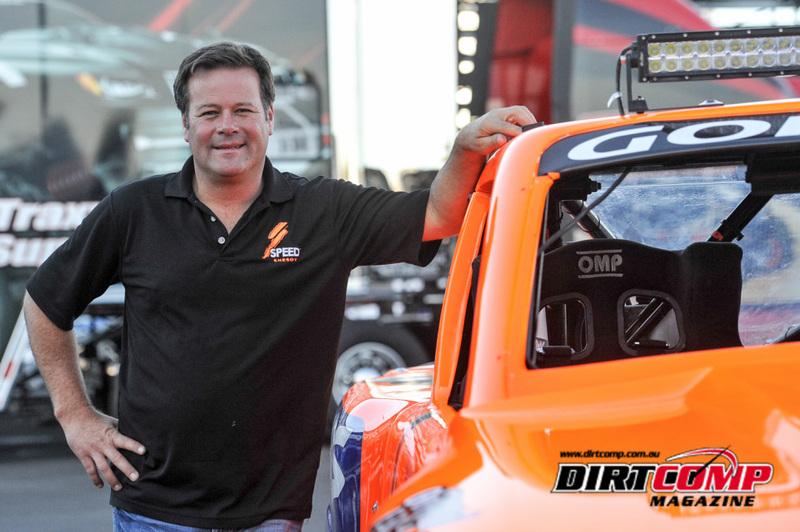 The man and mastermind behind the Speed Energy Stadium Super Trucks Series, Robby Gordon. 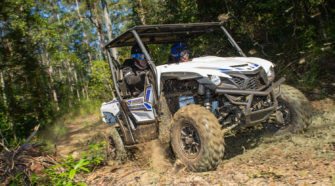 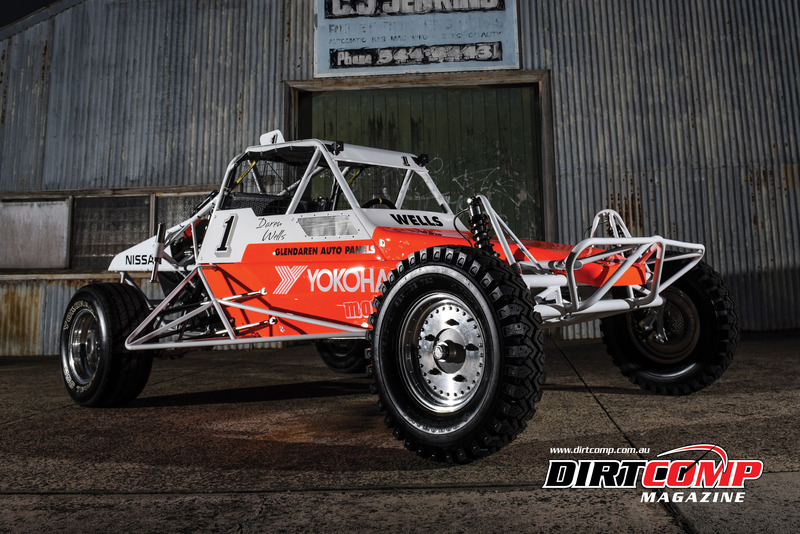 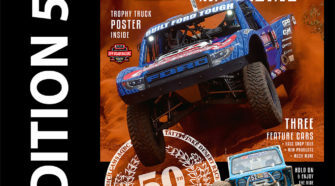 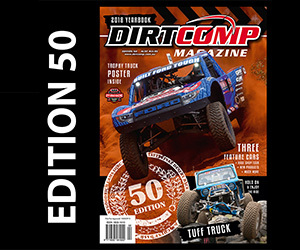 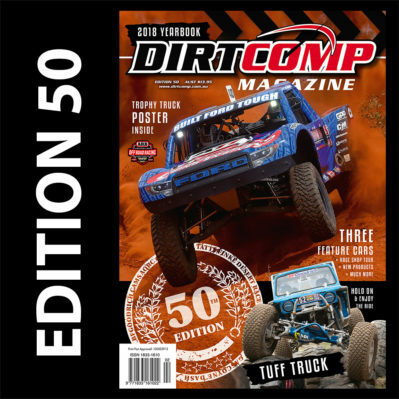 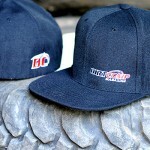 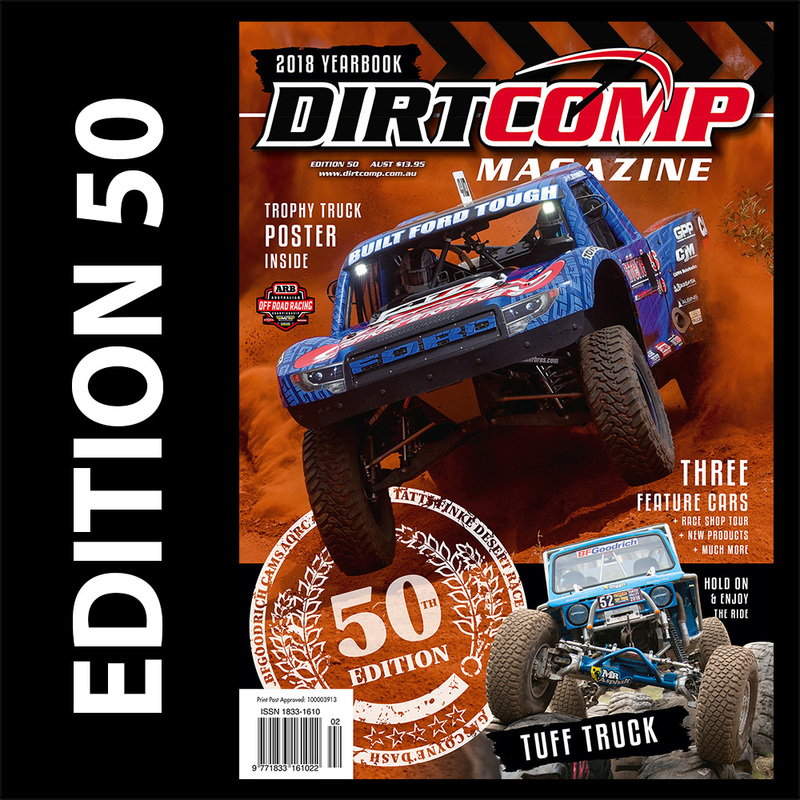 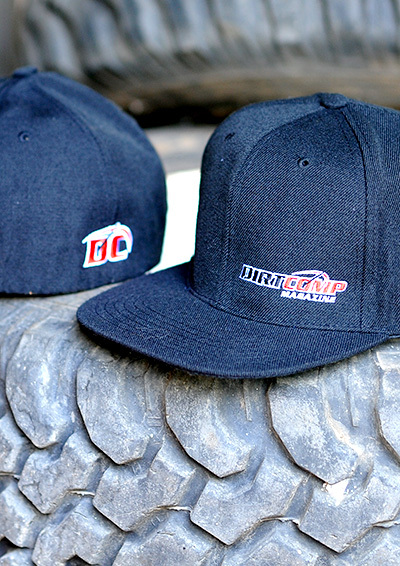 Inspired by the Mickey Thompson Stadium Offroad Racing Series, which helped launch his career and others like Casey Mears and six-time NASCAR champion Jimmie Johnson, Robby Gordon set about developing a package that brought the excitement of Baja to the people. 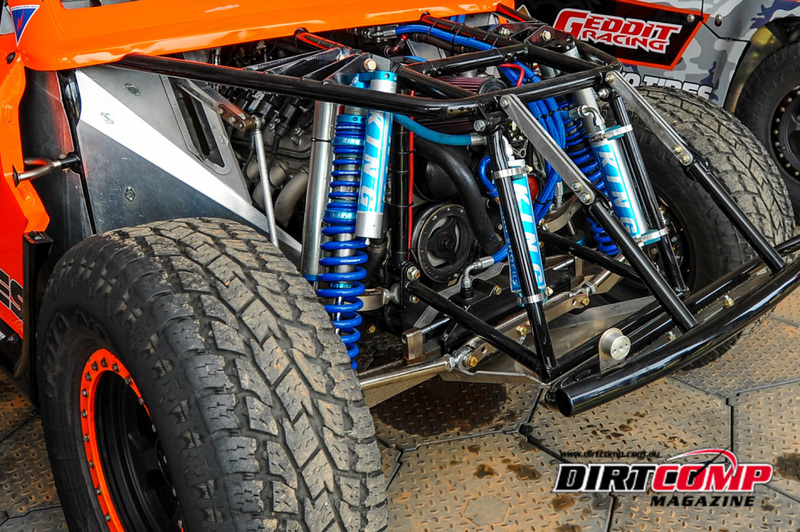 Combining high horsepower in the form of a 650hp LS3 V8 with their relatively light weight and big suspension travel, the identical trucks which roll out of Gordon’s North Carolina workshop are designed to entertain. 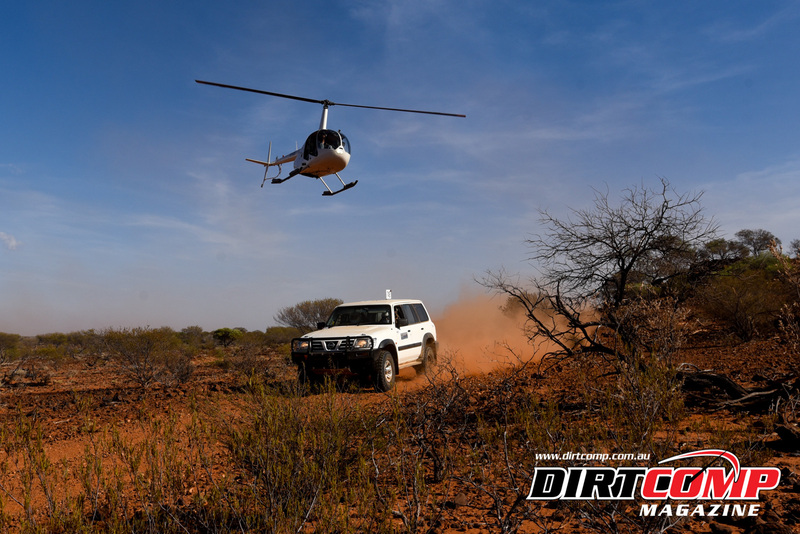 Hiking the front left wheel high in the air as the engine torques up out of a corner and they’re equally comfortable flat landing on the tarmac after flyng off the biggest of man made jumps. 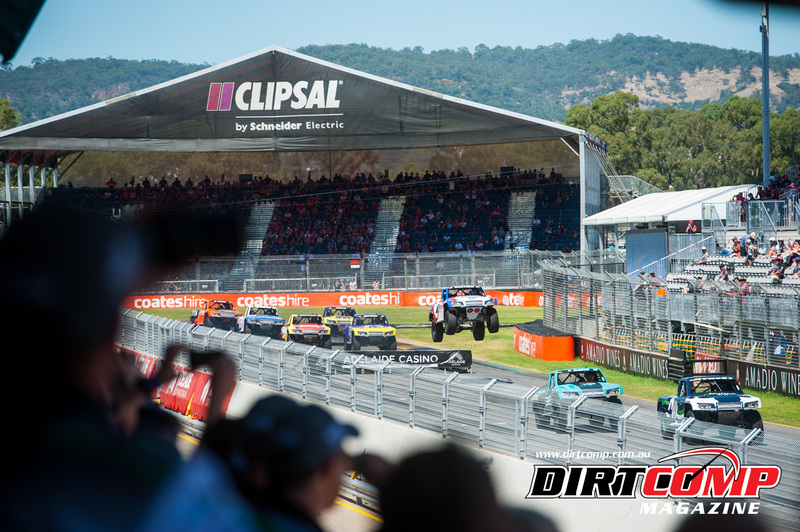 The controlled formula fosters close racing and puts the focus squarely on the drivers abilities, rather than the engineers in the workshop. 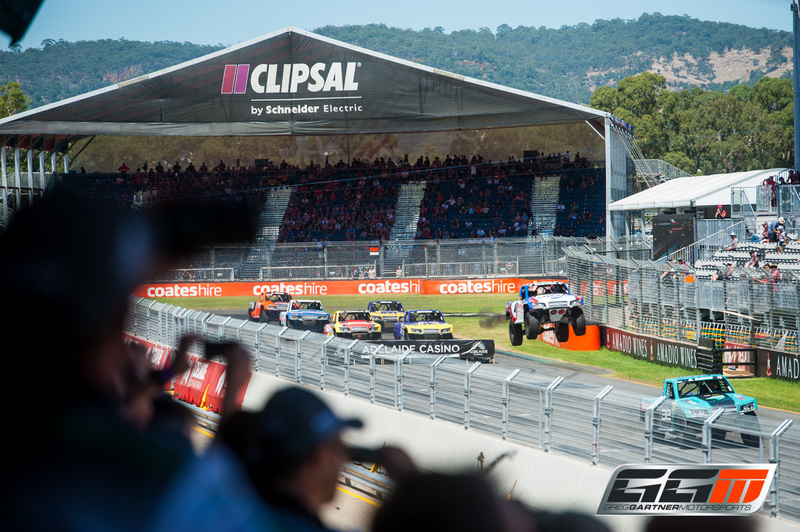 Minor adjustments to suspension and tyre pressures are allowed, but that is where the tuning stops. 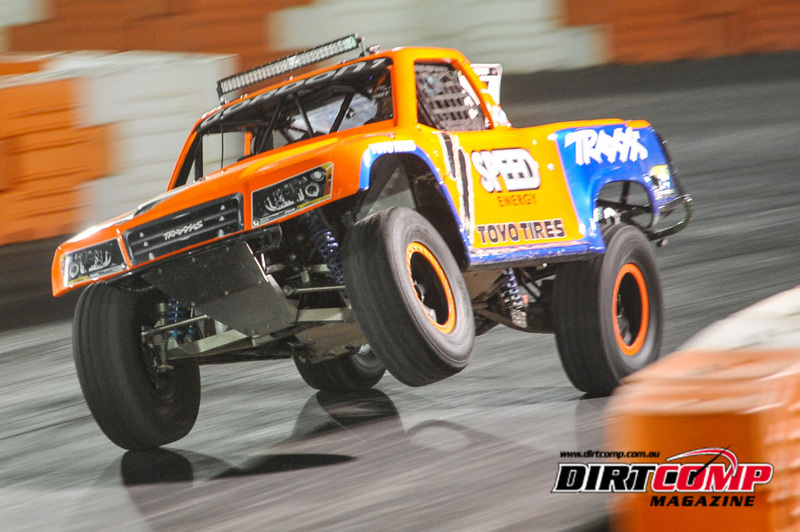 Designed for the rough and tumble of tight racing, the trucks are designed with a number of fuse points to protect the main chassis. 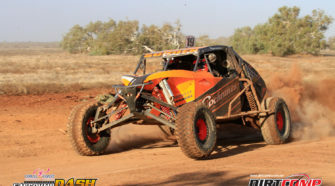 Allowing for quick repairs between heats, should they make contact with the wall or other racers. 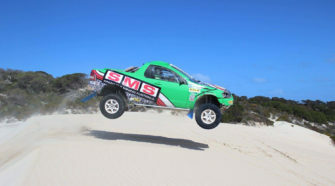 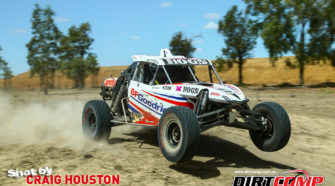 The fibreglass body kits are modelled on series partner, Traxxas’ RC Trucks rather than a road going model and the SSTs tip the scales at 1315kg, half the weight and two thirds the width of a full size Trophy Truck. 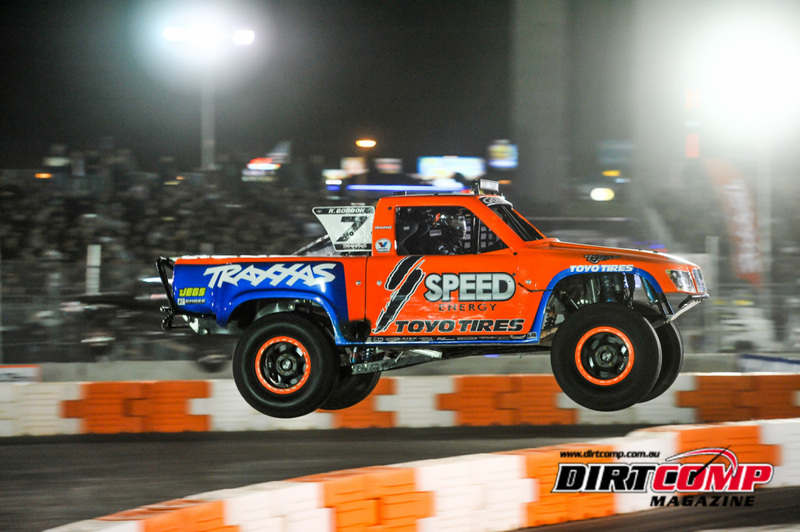 Making them ideal for competition on the tarmac street circuits and occasional dirt on the converted carparks and stadiums they frequent. 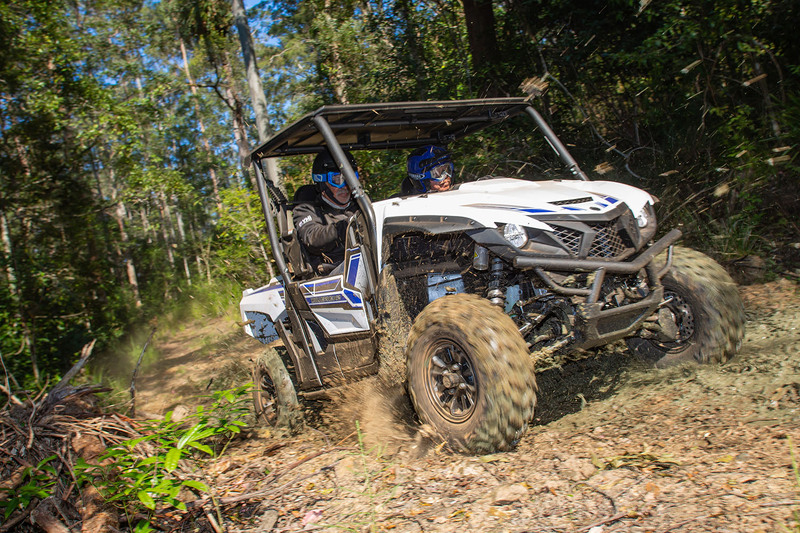 Four-wheel disc brakes with Willwood calipers and adjustable front to rear brake bias. 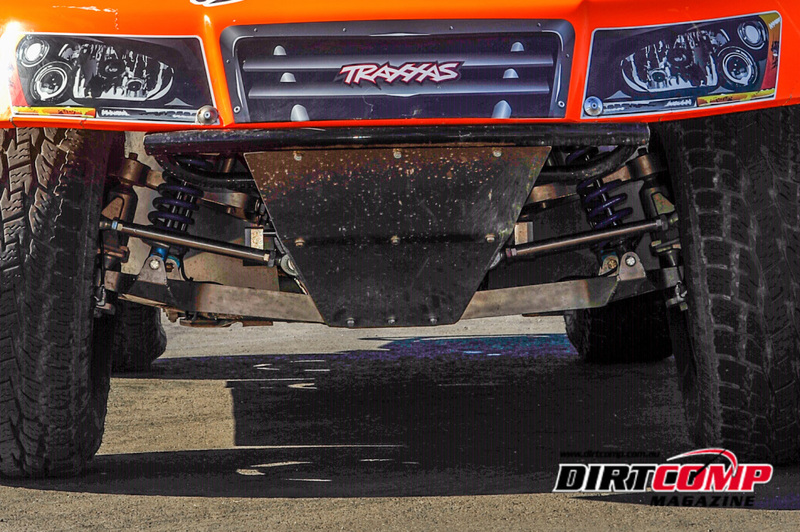 A turning brake also assists on the tight tarmac courses. 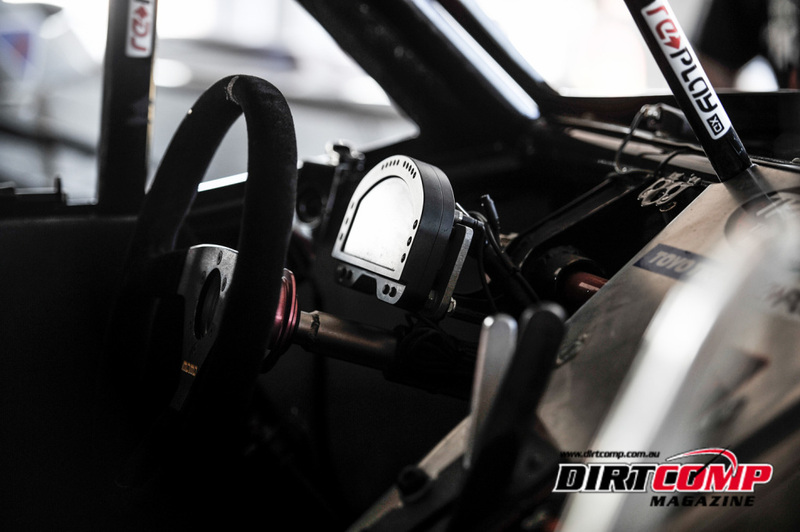 OMP Seats with a 5 point harness, Momo Steering Wheel & the vital stats are supplied via a AIM Racing Dash.